Located on the “The World's Most Famous Beach”, celebrate Father's Day on the golden shoreline of Daytona Beach with Nautilus Inn's - Summer Season Early-Booking Special and save up to 25% on your stay! Located within a couple miles of the area's most popular attractions and Father's Day adventure destinations - Dad will love vacationing oceanside, with a private balcony at Nautilus Inn! 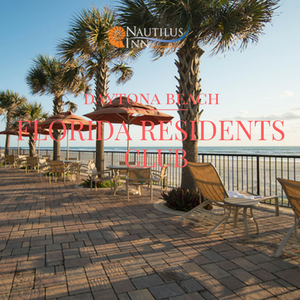 From our ocean views to our beachside pool, hot tub and convenient location - receive all the amenities Dad desires, at an affordable price, with Nautilus Inn of Daytona Beach! Not only will our beachfront hotel impress Dad, but our rates include a daily continental breakfast and cocktail hour, too! 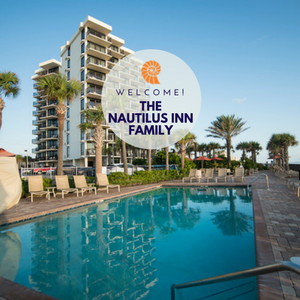 Your Dad will love Nautilus Inn's convenient location to Daytona's biggest attractions such as the Ocean Walk Shoppes, The Pier and Daytona Beach Boardwalk! Stay with us and you will quickly come to understand why the Nautilus Inn is a TripAdvisor Certificate of Excellence award winner and consistently one of TripAdvisor's top ten hotels in Daytona Beach! From the moment you arrive at our famous A1A location, you'll feel like you're on vacation! View our Summer Season Early-Booking Special offer or call (800) 245-0560. Hurry and make your reservation today!